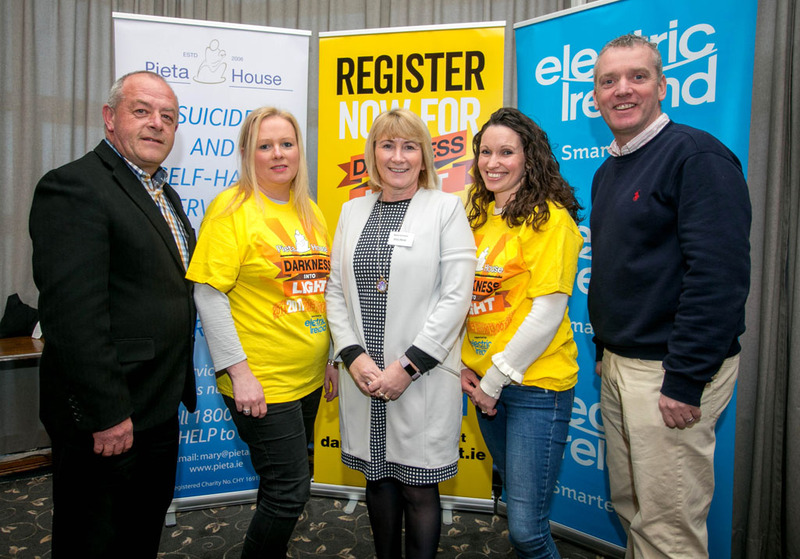 THE Clare launch of Darkness Into Light 2018 took place in Shannon this week, with walks set to take place in Doolin, Sixmilebridge, Killaloe-Ballina, Ennis and Shannon on May 12. This is Pieta House’s flagship annual fundraising and awareness event and, last year, 180,000 people took part. Nora Conway is clinical manager of the Pieta House Centre in Mungret and she says the event has grown dramatically, showing how people feel about removing any remaining stigma around mental health. “It’s the 10th anniversary of Darkness into Light and, I suppose, from the days when 100 or 150 people would come out, compared to 120,000 nationally, it’s phenomenal. I think it’s a statement, really, that the people of Ireland are making. A statement by coming together, walking shoulder to shoulder and doing what they can to lift the stigma around suicide and self-harm. The more we promote the service, the more we encourage people to ask for help, and the more that we say that it’s okay not to be okay, the better. Ms Conway feels that making it easier for people to talk about issues around suicide is very important to reducing the figures. “I think it’s important that we have a lot of work done, in terms of opening up the conversation around suicide and self-harm. But we must do a lot more by way of lifting the stigma. That’s a huge part of our work now, lifting the stigma around suicide and self-harm. I think when we can achieve that, we will definitely achieve a reduction in deaths by suicide. One death by suicide is one too many and that’s the reality,” she concluded. THE Clare launch of Darkness Into Light 2018 took place in Shannon this week.